Are you looking for someone to watch your baby while you go out for a date night? Do you need someone to pick your kids up from school and stay with them until you get home from work? Are you looking for someone to help with the twins on a regular basis three times a week? How do you know if you need a “babysitter,” ”nanny,” or “Mother’s helper” and what is the difference? At ASAPSitters, we define “babysitter” as someone who cares for children for a few hours or a few days at a time, either occasionally or on a regular schedule. Babysitters are as-needed or temporary caregivers. Examples are date nights, occasional weekday and weekend childcare, or back-up care for nannies or daycare. A babysitter’s job is to keep the kids safe, be actively engaged, and have fun. Babysitters typically charge an hourly rate (or sometimes a flat-rate for overnights or extended stays). A babysitter that helps out while mom or dad is home (part or all of the time) is a Mother’s Helper or Father’s Helper. Their role may extend beyond assisting with childcare to helping with household tasks like laundry, cleaning, and cooking. 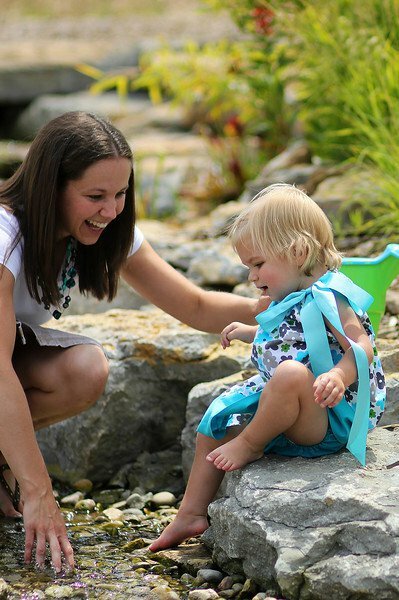 A nanny is usually someone that cares for children on a long-term or permanent basis either part-time or full-time. Often, nannies are full-time employees to manage children’s schedules, activities, and meals while parents work. They may also be responsible for other household duties. Nannies are typically salaried employees and negotiate an employment contract with their family that may include tax withholdings, paid vacations and holidays, and sick days. Nannies can be live-in or live-out. Au pairs are similar in scope to FT live-in nannies and are young foreign nationals from around the world. In most cases a family hosts an au pair for a year and provides room, board, and a stipend. The au pair cares for the children and may help with other household duties as well. There are agencies that specialize in care for newborns and overnight or 24-hour care for newborns. These caregivers often don’t fit the traditional definitions of “nanny” or “babysitter.” Our partners at Hush Hush Little Baby provide new moms & dads with Newborn Care Specialists who they define as “an individual trained and skilled in newborn care.” Our friends at Let Mommy Sleep refer Baby Nurses (RN’s & LPN’s), PostPartum caregivers, and Multiple’s Specialists to families with new little ones. Part-time Nanny or Ongoing Babysitter? The line between a part-time nanny and a regularly scheduled babysitter starts to get a little blurry. We consider the length of commitment to be main difference between the two. A babysitter may fill in full-time for a week for a family whose nanny is on vacation or work with a family two afternoons a week for a semester. A family looking for a year-long (or longer) commitment from a caregiver is typically looking for a part-time nanny - for example, a family that needs afterschool care for the whole school year. A Special Treat from our Friends at MommeMeals! 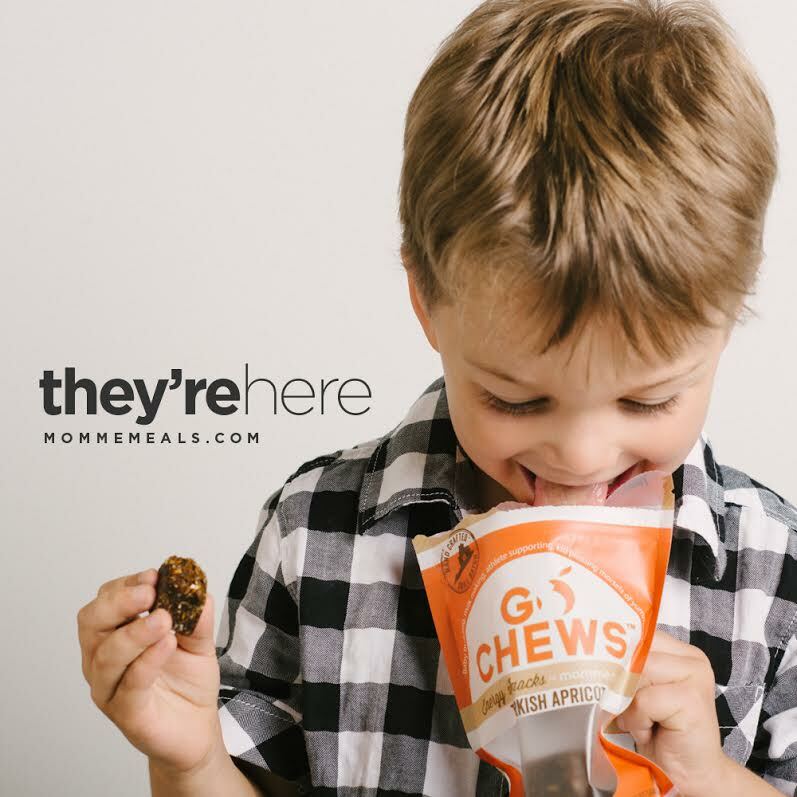 Our fabulous friends at MommeMeals just launched a new flavor for their energy snacks Go Chews - Fig Ginger Sesame. YUMMMY!! Skip the afternoon latte or add these for a healthy treat. Your co-workers will thank you! We are thrilled to announce that we have partnered with Chibis Indoor Playground in Ashburn, VA to to offer a drop-off childcare option! Yes, you read that right. Parents of little ones ages 18 months through 6 years may now drop off the kiddos at Chibis on select days and times (advanced reservation/payment required - See Chibis' "EVENTS" calandar for days & times). Maybe you’re an old pro at this parenting thing or maybe you’re a new mom or dad who is hiring their first babysitter… ever. Maybe you’re somewhere in the middle doing your best to navigate between developmental milestones. Two timeless truths: with kids, you can always expect the unexpected ... and you can never be too prepared. So before you rush out the door to make it to that important meeting, eagerly anticipated date night, or your business function, here is a list of the 10 most important things you should tell your babysitter before you leave. 1. ALLERGIES AND MEDICAL INFORMATION: This is one you are unlikely to forget, but you may need to be very specific about this information depending on your child and the babysitters’ experience with a particular condition or restriction. Your babysitter may not know that “lactose-intolerant” means no ice cream. If you have EPI pens in case of emergency, make sure they are not expired, that the babysitter knows where they are, how to administer one, and that she is comfortable giving one if there is an emergency. CPR and 1st Aid certification is always preferred. Make sure your babysitter had a list of emergency phone numbers that includes your pediatrician and the Poison Control Center (1-800-222-1222). 2. BASIC SAFETY: Let your babysitter know where the fire extinguishers are located; where there is a flashlight in case of a power outage (make sure it has batteries); perhaps where the fuse box is. Let your babysitter know where the First Aid Kit is; where an extra car seat is, if you have one. Let your babysitter know if there are any “No-Kid Zones” in your house and if you have guns or other dangerous items, that they are inaccessible to children. 3. FOOD: This one is often related to allergies, but if your child has dietary restrictions – medically necessitated or choice of life-style – be specific about what your child may or may not eat. Your babysitter may not know gummy bears aren’t vegan. For babies and toddlers, you may want to reiterate which foods are common choking hazards. The more thorough you are, the less likely your angel is to convince her babysitter that mommy always gives her 3 desserts after lunch. 4. SPARE KEY: Have you ever locked yourself out of your house? Accidents happen, to babysitters too. If you prefer not to leave a key hidden outside somewhere, leave one with your neighbors, or leave one that the babysitter can clip-on his or her person on a keychain or clasp. If you have an alarm system, make sure your babysitter knows how to use it and how to disarm it. The last thing you need is your long-awaited romantic evening cut short because your babysitter and kids can’t get back inside the house; or worse, your babysitter and one of your kids can’t get back inside the house. 5. COMMUNICATION: How are you going to reach each other? Should the babysitter answer your home phone? Will you call her cell to check in? Do you want him to text you hourly updates? Send photos? This may also be a good time to tell your babysitter about your preference for pictures of your children being taken. Your babysitter may not know you didn’t want your adorable kids all over her Facebook page. Who should the babysitter contact if she cannot reach you? Does he have the contact information for the place where you will be? It’s crucial to everyone’s peace of mind that you know how to reach each other. 6. SCHEDULES: Do you have a routine or a rhythm? Tell your babysitter what a typical day or evening looks like and what your kids expect. The more consistent your babysitter is with your usual schedule and way of doing things, the easier things will go for your kids. Bedtime routines are especially important for younger children and infants and sticking to those routines can make putting your little one to bed a peaceful and calm experience, even in your absence. 7. EXPECTATIONS: In the world of babysitting, every family is different. You need to tell your babysitter what you expect and what falls under “babysitter’s responsibilities” in your home. Some families will tell their babysitter, “just have fun with the kids,” but then are appalled when the playarea is a mess when they come home. Be specific and be clear; don’t assume or imply. Can the babysitter load the dishwasher after dinner? Should the babysitter (and your kids) clean up all the toys before your come home? Do you want the babysitter to start a load of laundry once the kids are asleep? Some babysitters focus only on the kids and do not consider housework, like laundry, to be any of their concern. So the best thing you can do is to ask your babysitter for what you want. And if it goes beyond being actively engaged with the kids, keeping them safe, and basic clean up, pay your babysitter accordingly. She is not your housecleaner and he is not your maid. “House Rules” fall under this category, too. If there important rules that you are enforcing for your kids, let your babysitter know about them. Your babysitter may not know that the kids aren’t allowed to jump on your bed. Give your babysitter permission to call you for backup “phone parenting” if the kids aren’t listening to him. Also, talk to your kids beforehand, so that they know the consequences for not listening to their babysitter, who is there to keep them safe. 8. THE DOOR: Do you have a policy about your babysitter answering your door? Do you have neighbors, friends, or family that sometimes just drop by? What do you want the babysitter to do if someone comes over unannounced or unexpectedly? Your babysitter may not know that the boy from across the street is a bully. Is there anyone that absolutely should not be coming by? What is the protocol if they do? 9. HABITS: Does your little cutie have any peculiar or precocious behaviors that the babysitter should be aware of? Kids go through a lot of different and curious phases: randomly taking off all their clothes; refusing to wear shoes; hiding things; hiding themselves; sticking things up their noses; eating things they are not supposed to (Play-doh, anyone? ); refusing to eat; refusing to talk; and so on. It’s a good idea to give your babysitter a heads-up about anything that happens frequently enough to remark on. 10. PETS: Does Fido need to be walked? Does Muffy give love-bites? Scratch? Leave messy surprises? Need to be let out? Does anyone try to sit on/lick/sniff the baby? Does the baby try to sit on/pull on/yank on anyone’s tail? Let your babysitter know what to expect from your furry family members too, and if she’s doubling as a pet babysitter, leave instructions, supplies, and vet info. Most of the time, when you have a competent, experienced, and level-headed babysitter, everything is going to be just fine. The kids will have a blast, you will enjoy your evening out, or get your work done without distractions, or be able to focus on your meeting. But just in case the unexpected does happen, you’ll have helped make sure your babysitter will be ready to handle it. Should you Tip your Babysitter?